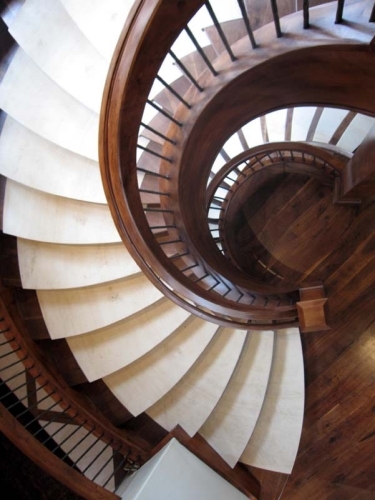 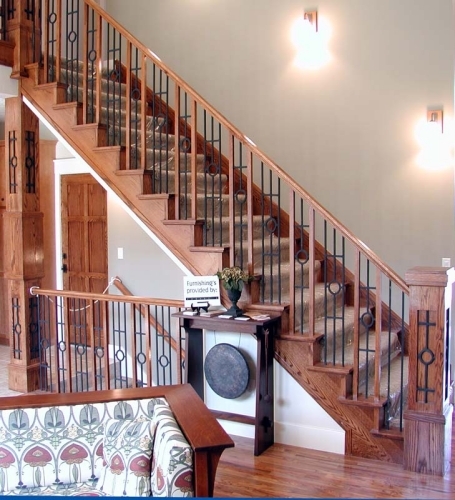 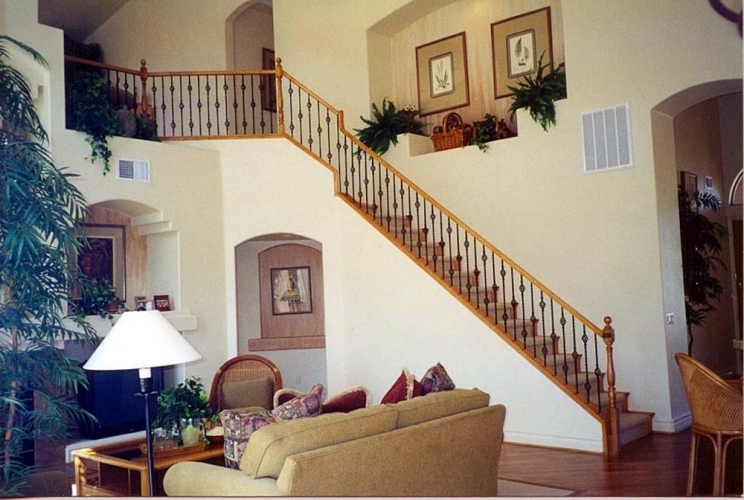 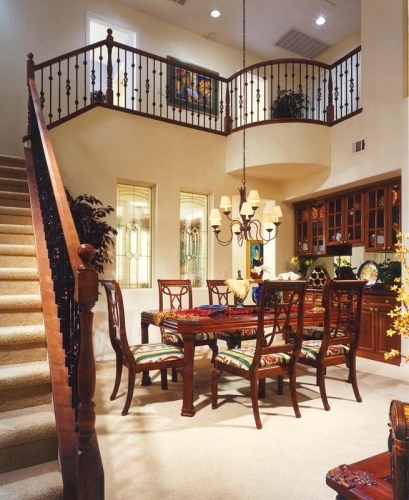 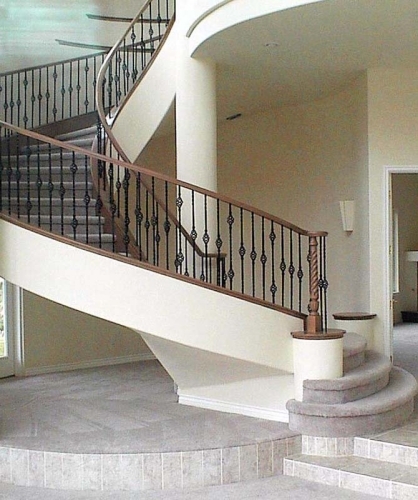 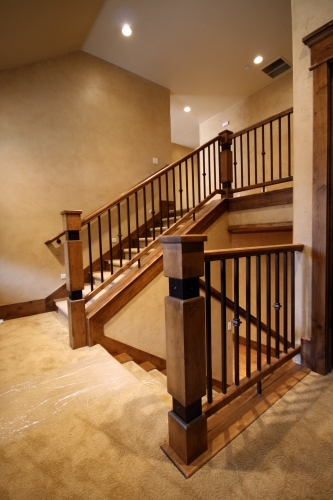 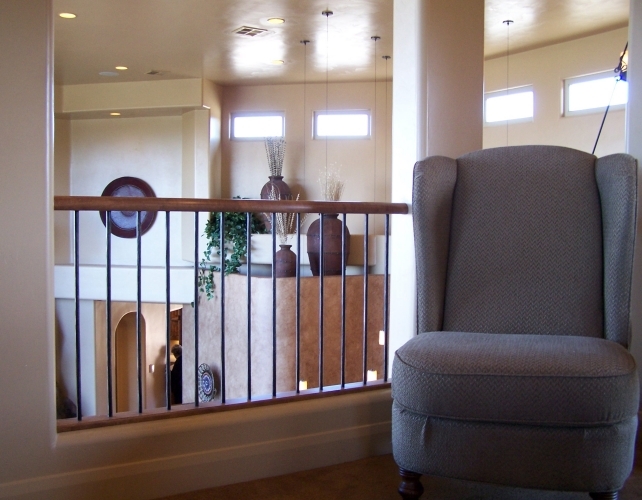 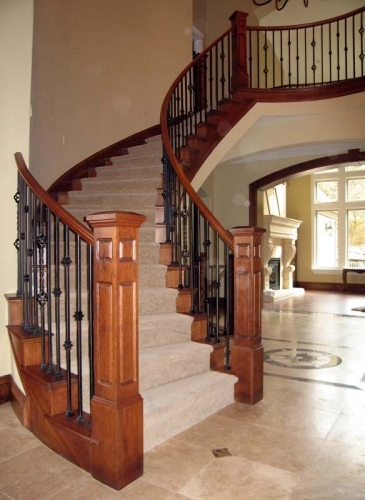 The combination of Wood Handrails with Wrought Iron Balusters has proven to be the most versatile and enduring development in architectural interior design in modern times. 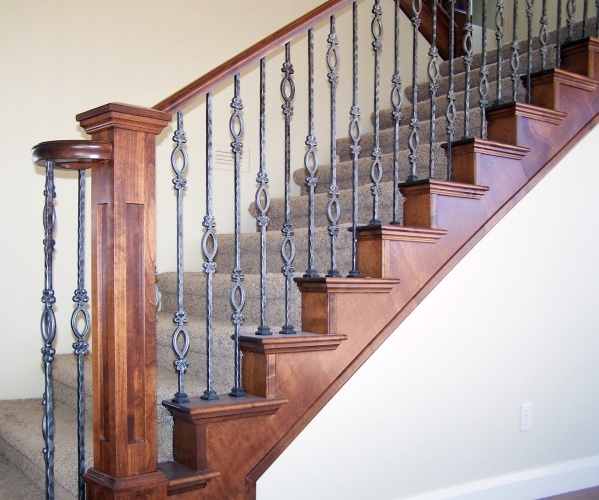 The warmth, comfort and tone of a wood handrail coupled with the virtually unlimited design possibilities of wrought iron have made this type of system the design of choice for architects, designers and home owners. 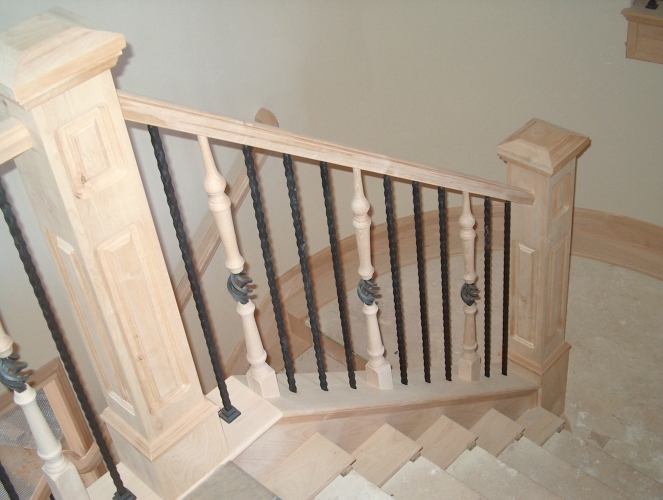 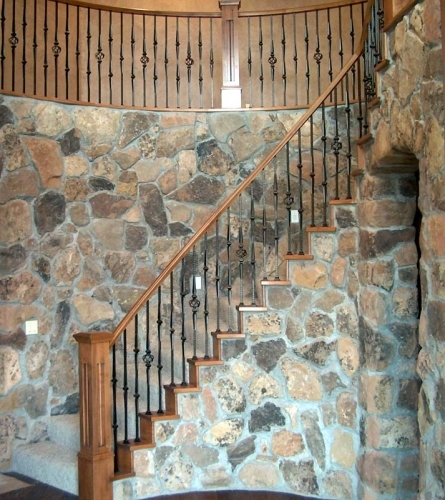 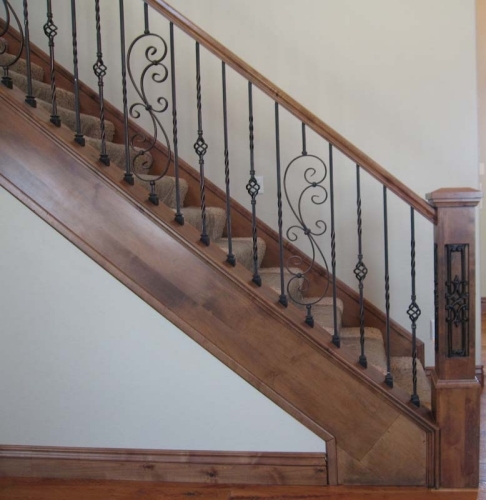 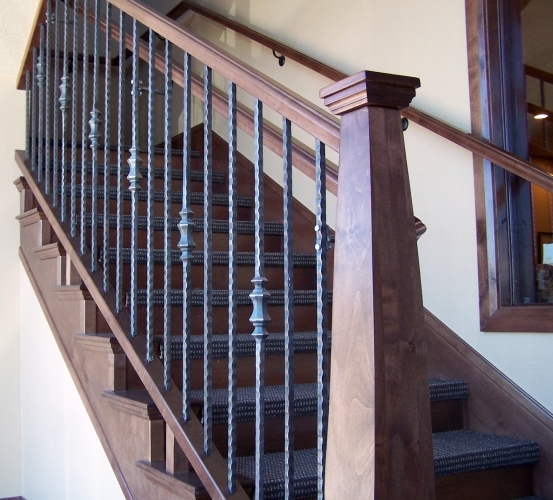 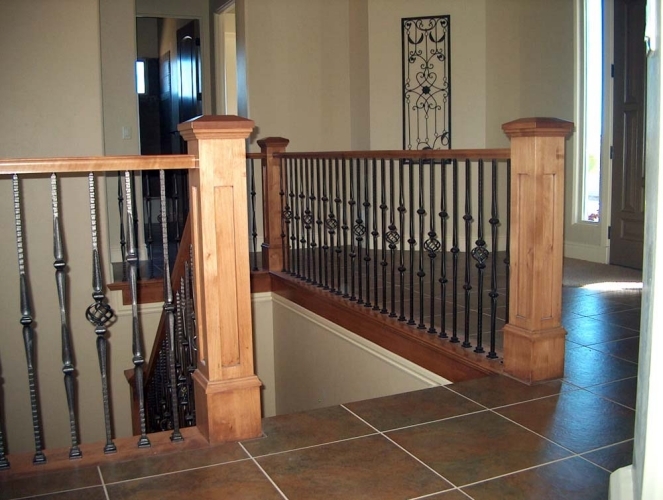 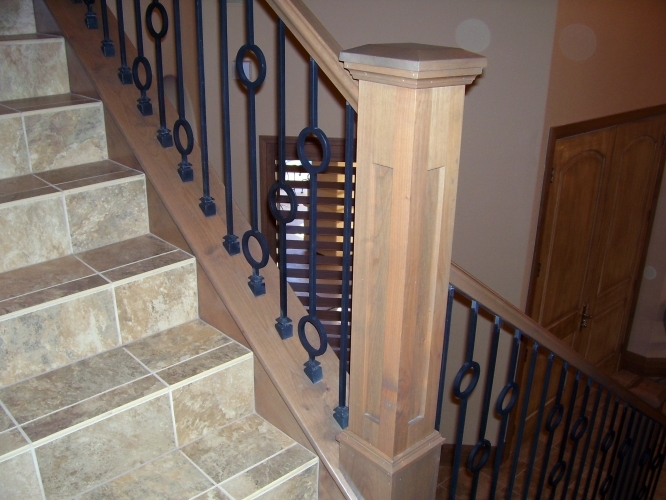 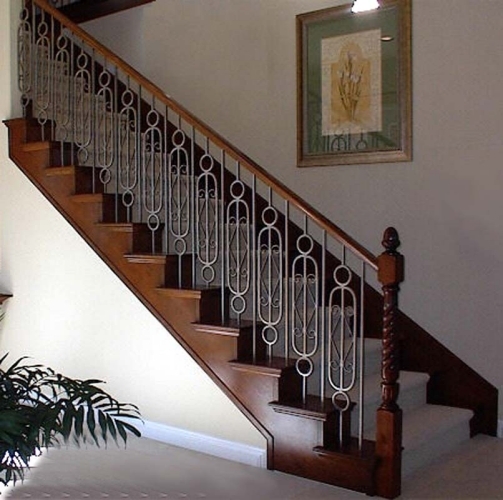 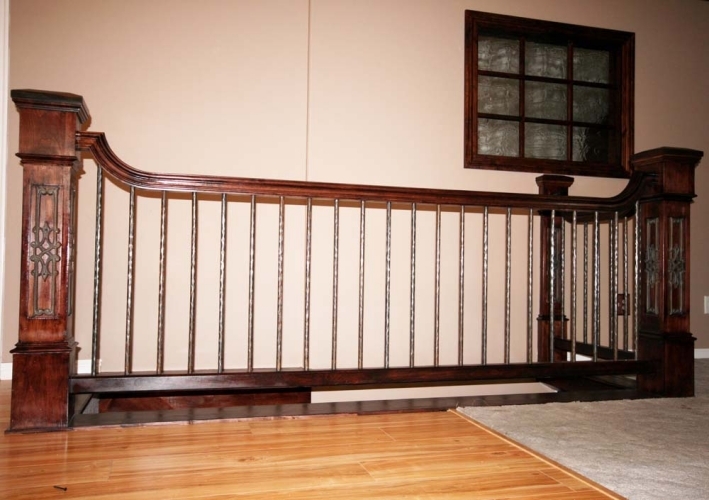 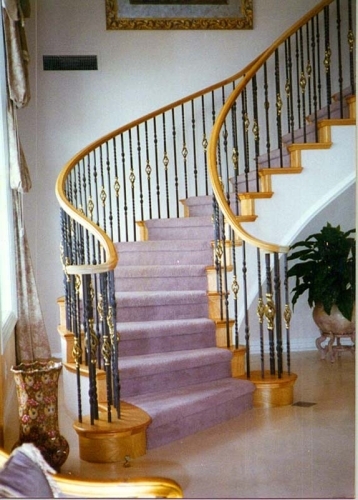 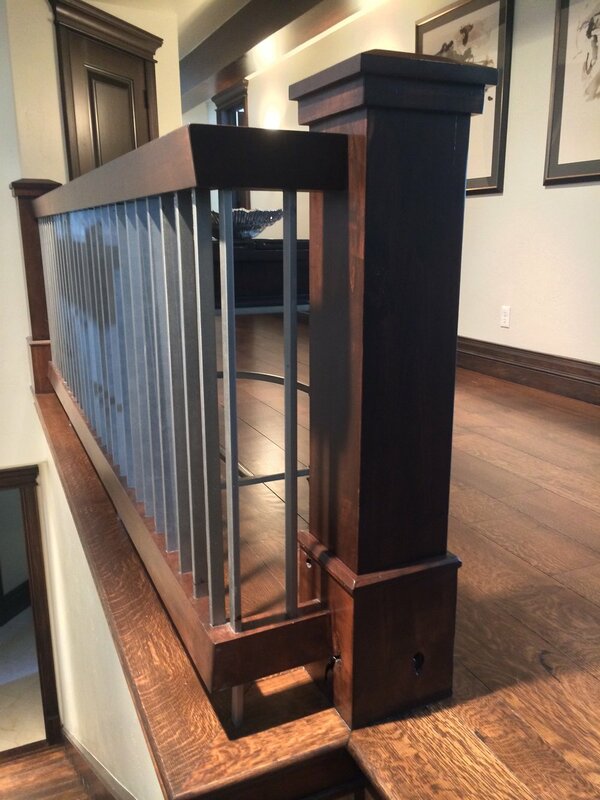 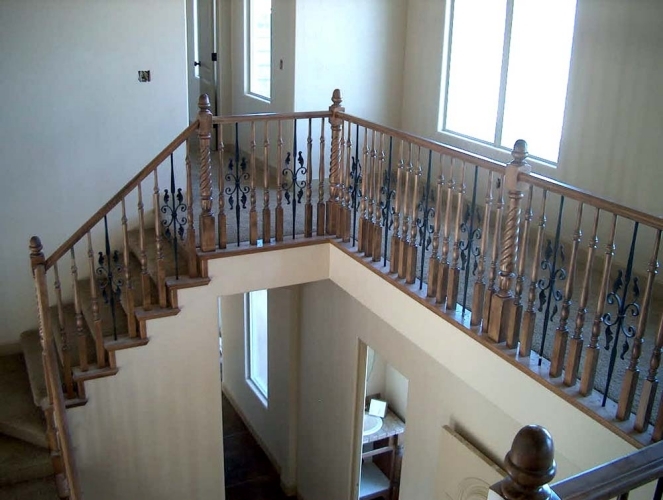 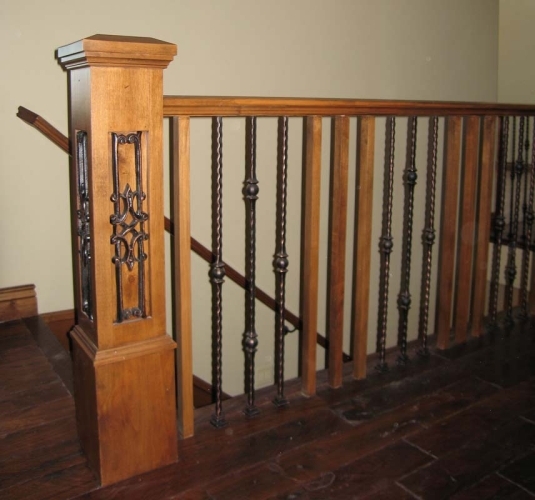 Rather than repeating a single baluster through out a system, wrought iron balusters are varied in patterns that further increase the scope of design possibilities. 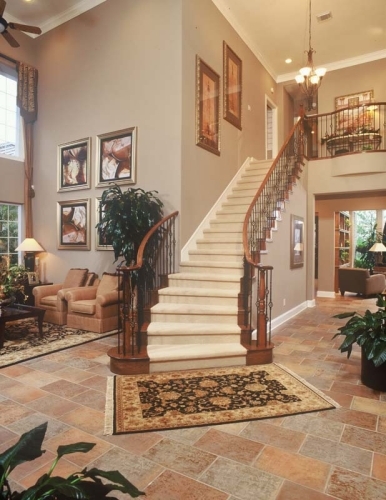 From simple elegant, to rustic to luxurious and everything in between you can achieve a beautiful and unique combination using these two different media. 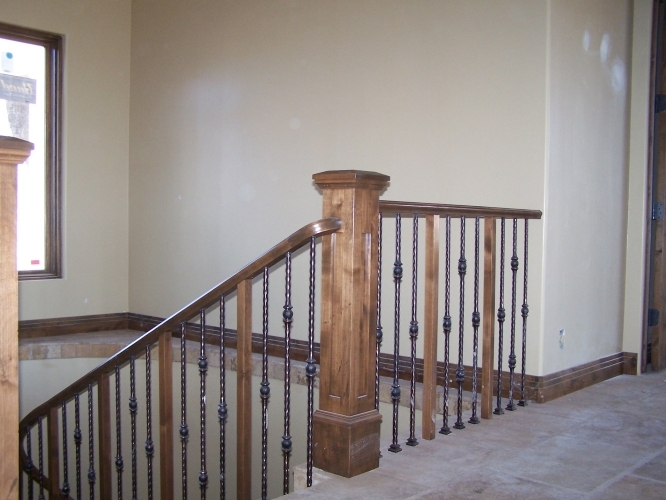 Here are just a few examples of our recent projects.